The blue water, the swimming, the wildlife and the sandy beaches make the Noosa River one of Australia's loveliest rivers. 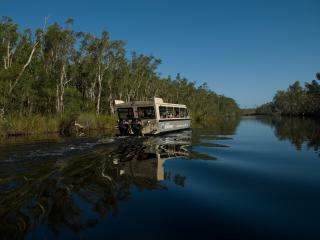 To fully enjoy the pleasures of the river, hire a boat or windsurfer, or take a leisurely river cruise. Most boat-hire jetties are located along the river in Noosaville and Tewantin, and rent vessels for several hours or for a day. Each has a selection of sizes and styles of boats. For the ultimate Noosa River experience, hire a pontoon boat complete with barbecue, and spend an afternoon lunching, swimming and cruising around Noosa's waterways. 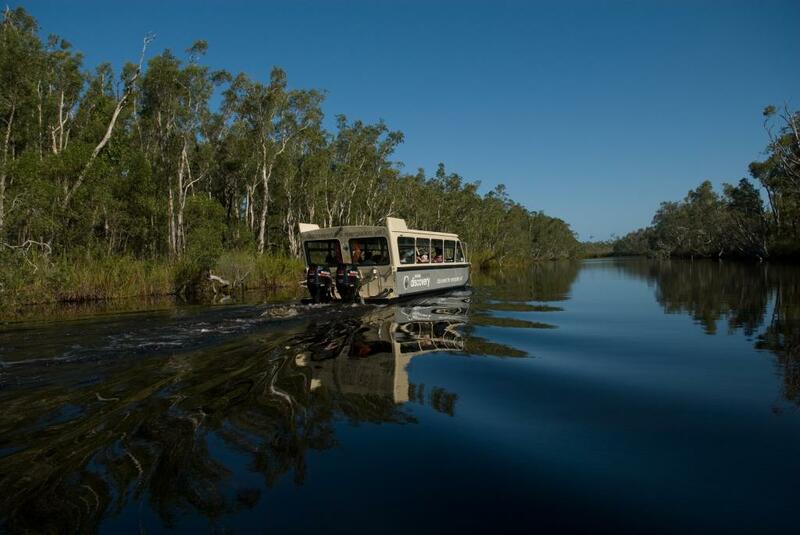 If you prefer to go boating in style, there are a number of cruises available on the Noosa River including an everglades cruise that offers a whole day of relaxation and exploration on the stunning wilderness waterway. Many cruises also enjoy onshore activities such as guided tours on the boardwalks of the Kinaba Interpreative Centre. Both off the boat and on, you'll enjoy the excitement of spotting a variety of native flora and fauna including colour species of birds. Allowing you time enjoy a refreshing swim in the river, most cruises also include lunch either on board or at a renowned historic spot known as Harry's Hut. Surrounded by magnificent wildlife and a stunning natural setting, there's plenty of time to relax and explore the lush vegetation before you return to the boat. There are also options to enjoy paddling gently upstream in a canoe that traverses ancient waterways and landscapes if you prefer a more active way of exploring.